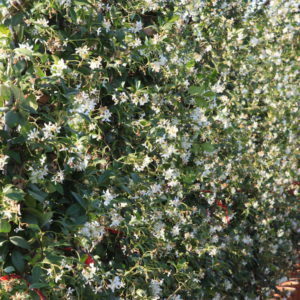 Evergreen Jasmine is a climber with rich, dark green leaves which turn bronze in winter. From mid- to late summer, pure white, fragrant flowers are produced. 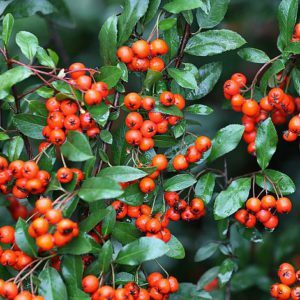 It can be grown against a wall or with support but needs are protected position away from cold, drying winds. Tags: climbers, climbing plant, evergreen Jasmine, Rhyncospernum Jasminoides.